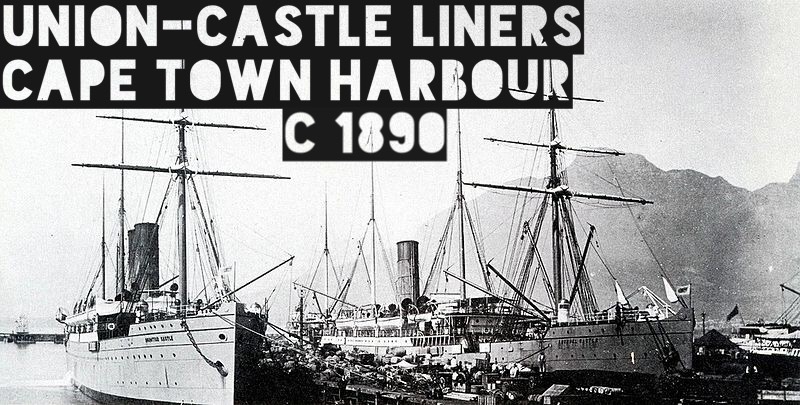 Today I boarded the Union Shipping liner of Donald Currie & Company en route to Cape Town. Oscar sent me a telegraph message two weeks ago announcing the plans of James and Christel to get married. An investor in our cause to set up a bacon curing plant in Cape Town saw this as an ideal opportunity to get me home. I can report on what I have learned; assist Oscar in designing the new plant to be erected at the back of the Combrinck & Co. building in Newmarket street; above all, I can see the two of you and Ava. It is a welcome break before I return to London and the forests and fields of Bristol, Calne and Peterborough. 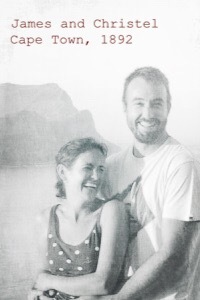 James and Christel have been friends since university. They formally saw each other for 6 months and in accordance with all sense and sensibility, got engaged 2 months ago. James is Oscar’s youngest brother and took over the financial affairs of our company. He gambled a lucrative career in the Bank of the Netherlands with his move to Woody’s, which I am confident, will pay off handsomely. Together, Ava and I have hiked up Table Mountain a few times with him and Christel and I consider it a great privilege to know them. He is an upstanding citizen and Christel is everything a good wife should be. Her dad knows Livingston, being a seasoned explorer himself. When Oscar, David and I met in Copenhagen, Oscar told me that Christel’s dad is travelling through Kazakhstan. I am looking forward to hear his many stories at the wedding. Martin Sauer from Denmark’s dad also knows Livingston. He has been in Rhodesia to help farmers set up pork farms. Maybe they know each other. From Ava, I hear that you both have taken a keen interest in chemistry. Uncle David promises to take you two along to the reading room (1) in Cape Town one day. The reading rooms in Copenhagen and now in London and Bristol, where I have been staying with Kevin, is the source of endless pleasure. I am sure you will find it equally engaging in years to come. It is the gateway to the world. Where printed newspapers and posts link our globe and knowledge are shared within weeks of a discovery or an event or a newsworthy happening. It is an indispensable tool to the scientist and businessman alike and the fact that Cape Town has its own is just marvellous. On the steam liner I picked up an old copy of the Marion Record from Marion in Kansas, published 4 years ago on Friday, 15 July 1887. The journalist entitled his piece, About Nitrogen. I am not sure how it survived these four years, but I am thankful that I found the article. It gives me much insight into matters that Uncle Jeppe in Denmark taught me and its content provides occasion for contemplation and reflection in order to answer important questions. Back in England I have been challenged by a chemistry student on the subject of brine formulations and microbiology. In Denmark I become convinced that it may be a good idea to slightly acidify our bacon brine, that is, to lower the pH to a range between 5 and 6. My reasoning is that microorganisms prefer a higher pH and grow faster, spoiling meat and causing illness. 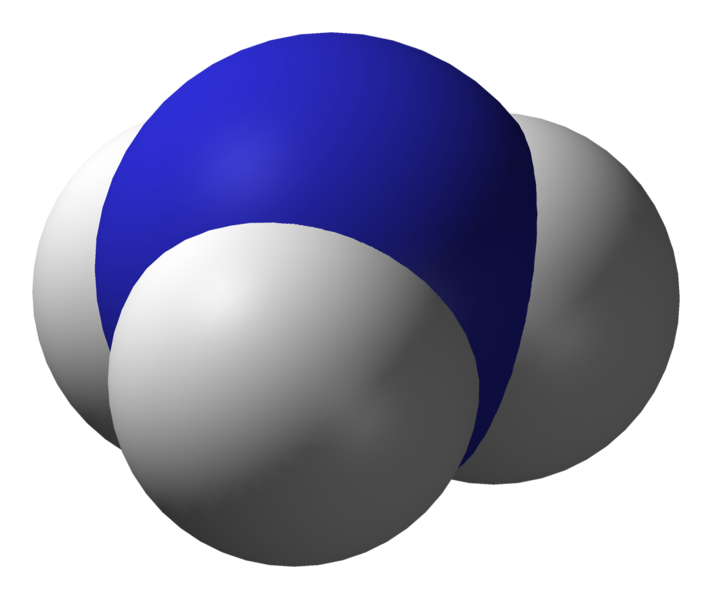 One evening a few friends from the processing industry and I were discussing this theory over drinks in a pub in London when an objection was raised by a chemistry student who was listening to our conversation, that acidifying the brine will cause nitrite to rapidly change to nitric oxide. This would, according to him, have two detrimental effects. On the one hand it would release nitric oxide, a corrosive gas, into the atmosphere to the detriment of staff working in the curing room and on the other hand, it would deplete the available nitrite in the brine, thus removing the substance that cures the meat. 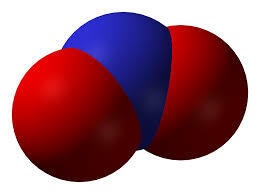 In order to look into the matters, I have to refresh my own memory on matters of chemistry. I have to review nitrogen, nitric oxide and the other oxidation states of nitrogen and acidification. What is acidification and how it will interact with nitrogen and its many forms. It is therefore a good opportunity to introduce you to the subject more thoroughly. Up to the present time, its relation to the animal and plant world has not been clearly understood. It is found in the tissue of all animal structures and in all plants. Exactly how nitrogen, which exist as a gas, tightly bound in pairs and requiring enormous energy to separate, end up in plants and animals, is an important question to the farmer (Marion Record, p3: About Nitrogen) and the starting point of our chemistry review. The article from the Marion Record reminded me that the role and effect of nitrogen in human and animal tissue is relevant not just to the living but also to pork from which we make bacon. The art of bacon is the art of the manipulation of the properties of meat through nitrogen, sodium and chloride. I told you about the pioneers who discovered these elements and processes in Lauren learns the nitrogen cycle and The micro letter. It is important to know a few of the other chemical elements at work in our industry. Nitrogen is the basis for the earliest food colouring industry, an attempt to make our meals look more appetising. (see Concerning chemical synthesis and food additives) Nitrogen is the link between fertilizer, food processing and war since the same power fires bullet, provides nutrition to plants and cures meat for future consumption. 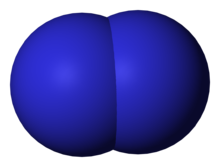 Nitrogen was so named by the early chemists as the generator of nitre. Nitre is also called saltpeter, something you are familiar with by now. Nitrogen comes into our lives through the power of lightning and the small microorganisms that I have written about in my previous letters. Let’s first look at nitrogen that falls from the skies. Other sources of nitric oxide, besides lightning, are certain bacteria and volcanos. (Air Quality Guidelines, 2000: chapter 7). As it cools down, it reacts further with the oxygen molecules around it to form nitrogen dioxide. 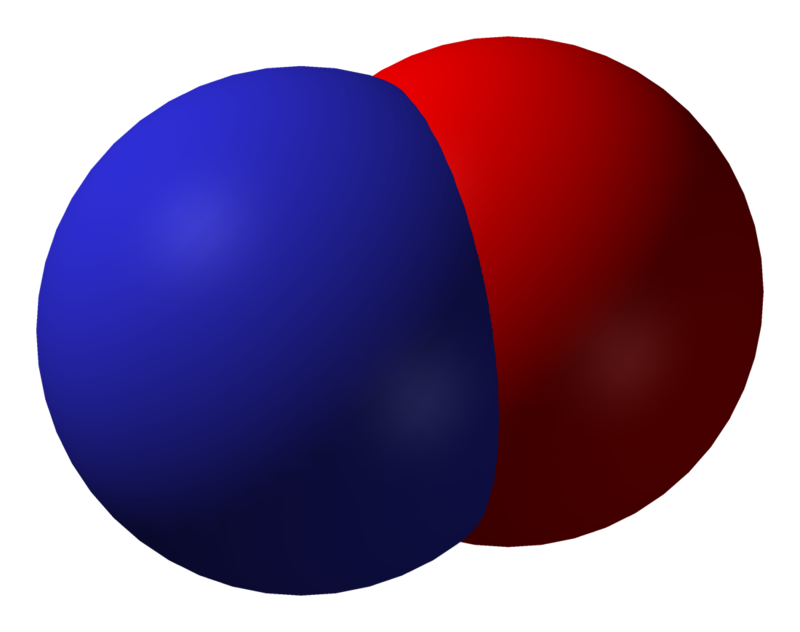 One nitrogen atom attached to two oxygen atoms and forms nitrogen dioxide. “It is a poisonous, brown, acidic, pungent gas”. (Farndon, J, 1999: 12) Nitrogen dioxide is however mainly formed in the atmosphere through it’s a reaction with ozone (O3). Nitric acid is highly reactive and combines with salts in the soil, converting it to nitrates which in turn become food for the plants. (Ramakrishna, A.; 2014: 14) It is this reaction of nitric acid with salts that create sodium nitrate or calcium nitrate or potassium nitrate that are used as fertilizer or in gunpowder or to cure bacon. It has been discovered that curing happens much faster if nitrite is used directly. Bacteria are responsible for changing nitrate to nitrite when it is injected into meat as a curing agent, just as it is done by bacteria in soil. 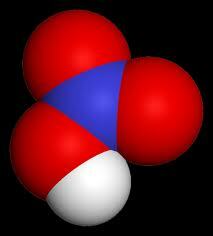 Nitrite (NO2–) is the same as nitrate (NO3–), with one less oxygen atom. By using nitrite directly, curing is accomplished much faster since the reduction to nitrite takes time. Lauren and Tristan, now that I have painted the landscape of how nitrogen moves through its various oxidation states we can look at acidity. Then we will try and write the reaction that occurs when a brine mix containing nitrite is dosed with an organic acid such as acetic acid, in order to reduce the pH. We will then try and predict how much nitrite is converted into nitric oxide and why this happens. Lastly, we will see if this is a reaction that should be a concern to us. This will deal with the particular question that I was challenged about in the pub in London. I also want to learn more about nitric oxide (NO) and its role in curing of meat. Some interesting studies are coming out that it may be nitric oxide that is ultimately responsible for bacon curing. I am looking forward to give you the letters I am writing on the streamliner personally and read them to you in the evenings after supper. When I close my eyes, my spirit floats to our living room in Cape Town where, after supper, we sit and first read and then talk until the evening sun sets over the Atlantic in all its brilliance. I dream about being home and enjoying Ava’s home cooked meals and telling you first-hand about all my adventures. The quest of setting up a bacon curing plant in Cape Town in becoming the most interesting adventure I have ever imagined. 2. This estimation is accurate, even by today’s reckoning. 3. In 1930 S.Chapman, a British scientist, proposed a theory of the formation of ozone in the stratosphere (known as Chapman mechanism). Air Quality Guidelines – Second Edition. 2000. Published by the WHO, Regional Office for Europe, Copenhagen, Denmark. Butcher, S. S.. et al. 1992. Global biogeochemical cycles. Academic Press, Inc.
Dincer, I. and Zamfirescu, C. 2011. Sustainable Energy Systems and Applications. Springer Science + BusinessMedia, LLC. Farndon, J. 1999. The Elements, Nitrogen. Marshall Cavendish Corporation. Huffman, R. E.. 1992. Atmospheric Ultraviolet Remote Sensing. Academic Press, Inc.
Igarashi, Y. and Seefeldt, C. L.. 2003. Nitrogen Fixation: The Mechanism of the Mo-Dependent Nitrogenase. Article from Critical Reviews in Biochemistry and Molecular Biology, 38:351–384. Robert. Taylor and Francis Inc.
Krasny, M. E.. 2003. Invasion Ecology. NSTA Press. Langa, S. L.. 1999. The Impact of Nitrogen Deposition on Natural and Semi-Natural Ecosystems. Springer Science+Business Media. Ramakrishna, A. 2014. Goyal’s IIT FOUNDATION COURSE CHEMISTRY. Roshan Lal Goyal for Goyal Brothersn Prakashan. Rattansi, P.. 1994. Alchemy and Chemistry in the 16th and 17th Centuries. Kluwer Academic Publishers. http://www.eoearth.org/view/article/170977/ Atmospheric Science. Earth’s atmospheric air. Image 1: James and Christel. From James. ← 5. Concerning Ladislav NACHMÜLLNER and the invention of the blend that became known as Prague Salt.